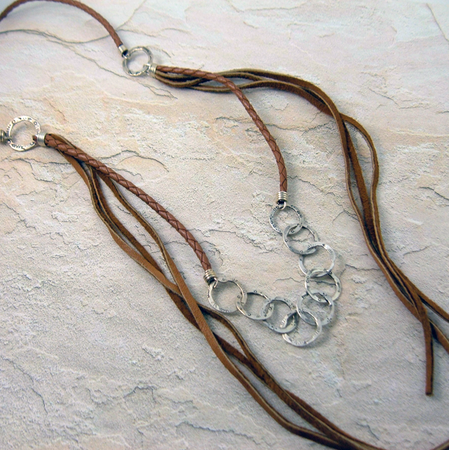 This is not only a unique leather and silver necklace, it's also made to show off any hook or slip on type pendant. 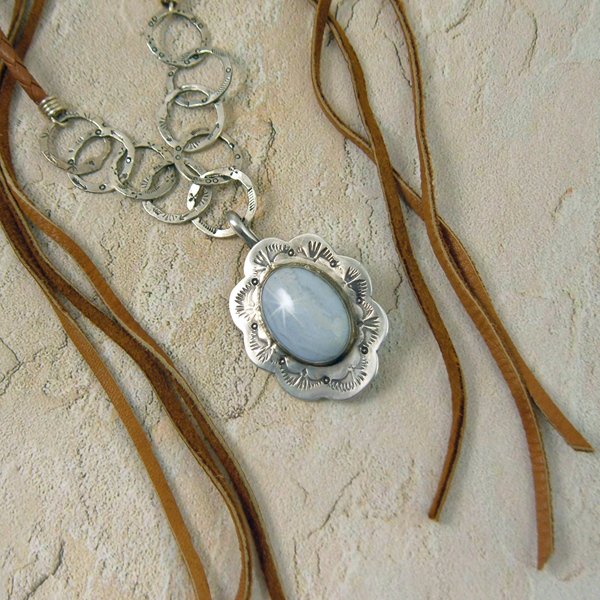 Wear it alone or wear it with as many pendants as you'd like, that's the versatility of this necklace, pendant holder. What a perfect way of hanging your interchangeable charms next to one or several pendants. 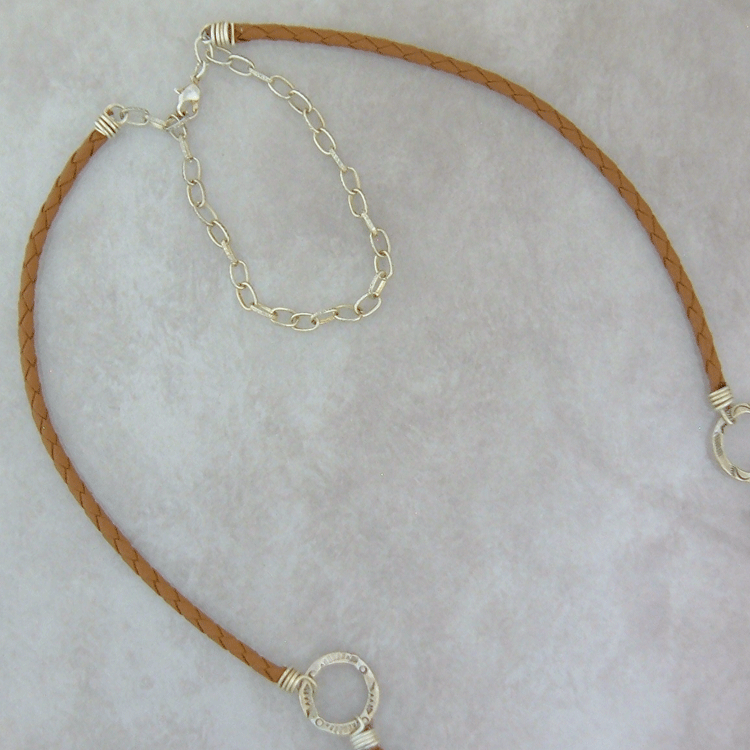 You can use leather lace or cord to tie on your regular bail pendants or charms. 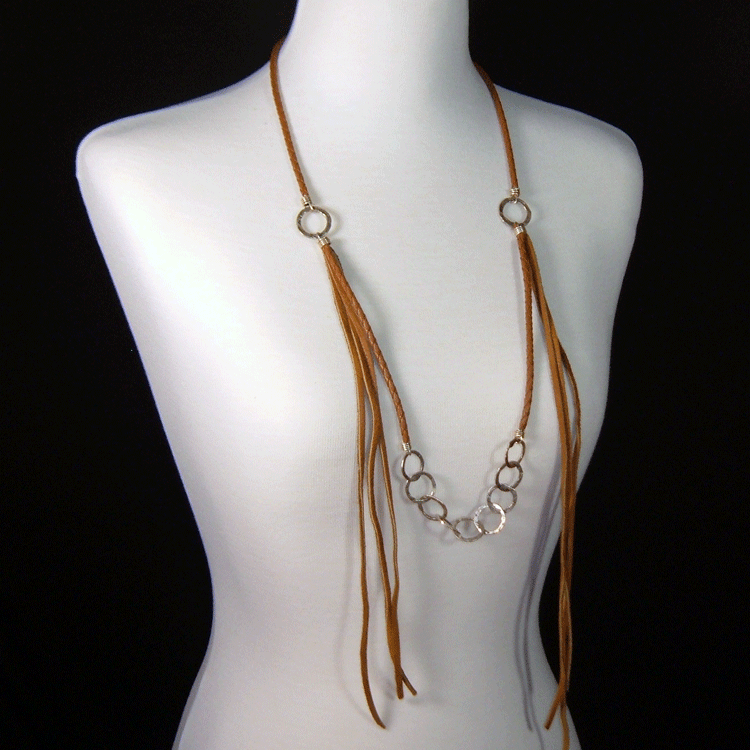 The way you wear this necklace is left to your imagination. It is a show stopper and people will be complimenting you on its style. The first one I made I wore it once with some of my pendants and within hours I sold the necklace off my neck. You don't see many like this one around. 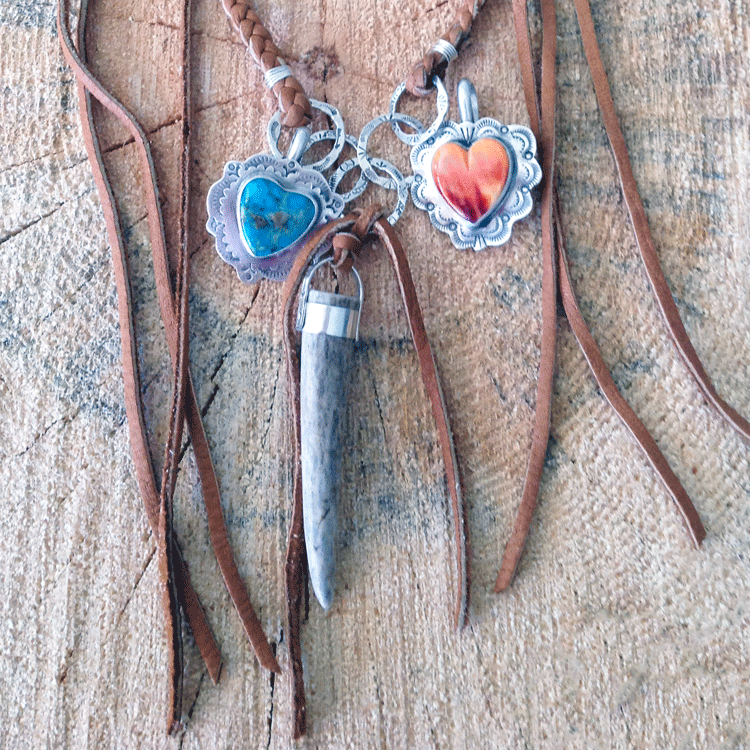 Call it boho, call it western or southwestern, call it yours, this is the necklace you need to show off. Each ring is approx. 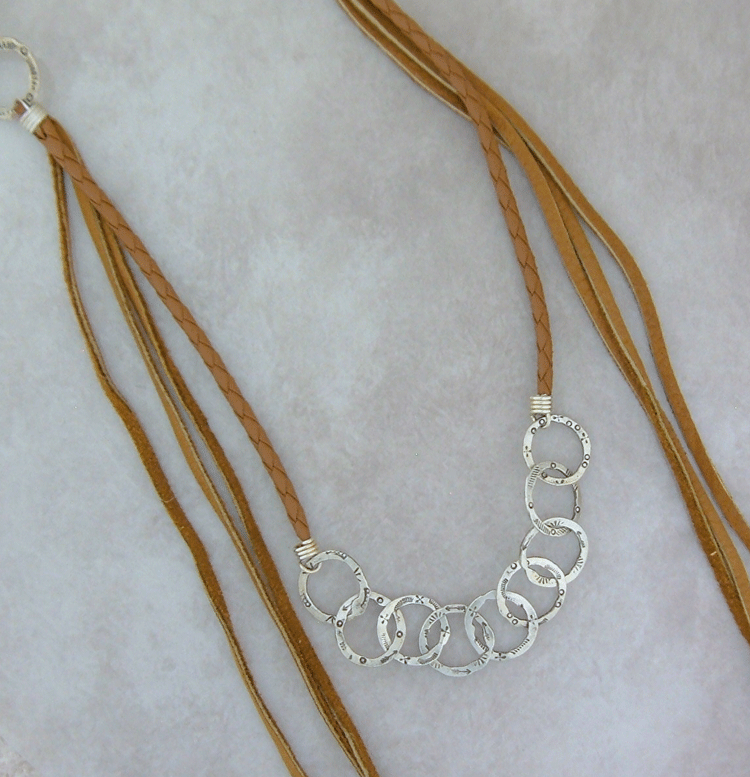 3/4"
May be custom ordered for number of silver rings, leather color, or total length. Let's talk.